Post-Hearing Brief of Walmart Inc.
Don C.A. Parker Walmart Inc.
KU is filing a Notarized Affidavit attesting to the publication of Notice of Public Hearing and a Petition for Approval to Deviate from Rule for the notice requirements. Kentucky Utilities Companys ("KU") Response to the Commission Staffs Stipulation Request for Information at the informal conference on February 27, 2019. Kentucky Utilities Company and Louisville Gas and Electric Companys Joint Motion seeking leave to file the Stipulation Testimonies in support of the Stipulations and Recommendations filed by the Companies. Kentucky Utilities Companys ("KU") Corrected Response to Question No. 65 of the Commission Staffs Second Request for Information and a Supplemental Response to Question No. 2 of the Commission Staffs Fourth Request for Information. Robert C. Moore The Kroger Company and Walmart, Inc.
Don C. A. Parker Walmart Inc. Direct Testimony of Melissa Tibbs on Behalf of Community Action Council for Lexington-Fayette, Bourbon, Harrison, and Nicholas Counties, Inc.; Verification; and Read 1st cover letter. 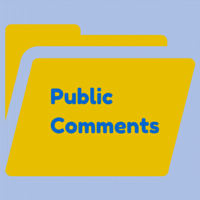 Iris G. Skidmore Community Action Council for Lexington-Fayette, Bourbon, Harrison, and Nicholas Counties, Inc.
Kentucky Utilities Companys ("KU") Corrected Responses to: • Question No. 53 of the Commission Staffs First Request for Information. • Question No. 24 of the Commission Staffs Second Request for Information. Enclosed please find and accept for filing Kentucky Utilities Company ("KU") Responses to US Department of Defenses Supplemental Request for Information for paper and electronic filing - Case No. 2018-00294. Enclosed please find and accept for filing Kentucky Utilities Company ("KU") Responses to Sierra Clubs Supplemental Data Requests for paper and electronic filing - Case No. 2018-00294. Enclosed please find and accept for filing Kentucky Utilities Company ("KU") Responses to Lexington-Fayette Urban County Governments ("LFUCG") Second Request for Information for paper and electronic filing - Case No. 2018-00294. Enclosed please find and accept for filing Kentucky Utilities Company ("KU") Responses to Kentucky School Boards Associations ("KSBA") Supplemental Requests for Information for paper and electronic filing - Case No. 2018-00294. Enclosed please find and accept for filing Kentucky Utilities Company ("KU") Responses to Kroger Walmarts Second Requests for Information for paper and electronic filing - Case No. 2018-00294. Enclosed please find and accept for filing Kentucky Utilities Company ("KU") Responses to Kentucky Industrial Utility Customers ("KIUC") Supplemental Set of Data Requests for paper and electronic filing - Case No. 2018-00294. Enclosed please find and accept for filing Kentucky Utilities Company ("KU") Responses to Charter Communications Operating, LLCs Supplemental Requests for Information for paper and electronic filing - Case No. 2018-00294. Enclosed please find and accept for filing Kentucky Utilities Company ("KU") Responses to Attorney Generals ("AG") Supplemental Data Request for paper and electronic filing - Case No. 2018-00294. Enclosed please find and accept for filing Kentucky Utilities Company ("KU") Responses to the Kentucky Public Service Commissions ("KPSC") Third Request for Information for paper and electronic filing - Case No. 2018-00294. Kentucky Utilities Company ("KU") Petition for Confidential Protection regarding certain information in this filing pertaining to data-request responses KU filed in the above referenced matter on January 2, 2018 - Case No. 2018-00294. Enclosed please find and accept for filing Kentucky Utilities Company ("KU") Responses to Attorney Generals ("AG") first Request for Information for paper and electronic filing - Case No. 2018-00294. Enclosed please find and accept for filing Kentucky Utilities Company ("KU") Responses to Lexington-Fayette Urban County Governments ("LFUCG") first Request for Information for paper and electronic filing - Case No. 2018-00294. Enclosed please find and accept for filing Kentucky Utilities Company ("KU") Responses to US Department of Defenses first Request for Information for paper and electronic filing - Case No. 2018-00294. Enclosed please find and accept for filing Kentucky Utilities Company ("KU") Responses to Kentucky School Boards Associations ("KSBA") first Request for Information for paper and electronic filing - Case No. 2018-00294. Enclosed please find and accept for filing Kentucky Utilities Company ("KU") Responses to Kroger Walmarts first Request for Information for paper and electronic filing - Case No. 2018-00294.